(Bloomberg) — Better earnings equals higher share prices, or so goes the customary thinking. For technology stocks during this reporting season, it’s the exact opposite. As tech megacaps from Facebook Inc. to Amazon.com Inc. and Google parent Alphabet reported earnings, the Nasdaq 100 Index ended a three-week streak of gains. The gauge finished the five-day period with a 0.2 percent loss and dropped 0.7 percent from a record-high Wednesday. The S&P 500 slipped less than 0.1 percent over the five days. The Dow Jones Industrial Average gained 1.2 percent as robust results from Boeing Co., Verizon Communications Inc. and Caterpillar Inc. were rewarded with weekly share gains exceeding 7 percent. While tech stocks as a whole are trading at valuations similar to the broader market, anxiety is growing over prices for the industry’s leaders. The five biggest American companies by market capitalization, all involving Internet or software, have rallied an average of 32 percent since December, accounting for almost one third of the S&P 500’s advance in 2017. One of the stories somewhat lost in the headlines earlier this month, is that of an impressive comeback. 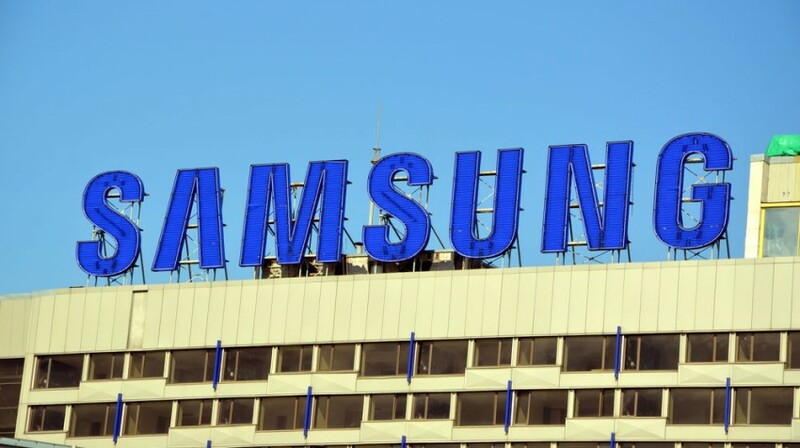 After almost two years of lagging performance, Samsung operating profits rose 80 percent during the last quarter over the same time last year. Reuters reports much of the cause of declining profits was due to losing part of the smartphone market share to Apple. While the Wall Street Journal attributes, much of the third-quarter increase to the popularity of Samsung computer chips and display screens. The company has remained optimistic during that time, offering incentives for new customers in order to improve their smartphone market share. And this competitive spirit has brought flurry of new tech useful to the small business market. For example during the last quarter, Samsung announced two new big screen devices, the Galaxy 6S Edge+ and the Galaxy Note 5 both with useful improvements. The Galaxy 6S Edge+ has a larger screen than the previous model with a 5.7-inch Quad HD Super AMOLED display and bigger RAM by 1GB at 4GB. The Galaxy Note 5 also has increased the RAM to 4GB. The screen is the same size, but Samsung claims that making the back of the phone curve makes it more comfortable to hold, more ergonomic. The Galaxy Note series has featured a pen that allows the user to jot notes in a way reminiscent of writing on paper. And the Galaxy Note 5 has aimed to deliver on a promise to make that pen easier to use. Some of the drawbacks are the lack of a slot for SD card extra memory and the inability to remove the battery. Other changes include a a new location for the headphone jack at the bottom of the device. There is, however, reportedly a problem with inserting the S-Pen of the Galaxy Note 5 backwards which may cause damage to the device. Samsung also introduced the SmartThings Hub v2.0. This is the company’s answer to the Internet of Things (IoT). The Hub is the central exchange point that coordinates devices around your household with WiFi and your smartphone. Small businesses will find this a reasonably priced alternative to professional security systems. These IoT systems can link video through your smart phone, automatically record the video when triggered by disturbances noted by motion sensors, and notify you when fire or water leak sensors detect a problem. The Hub can connect up to 200 devices, managed by a free SmartThings app. SmartThings offers storage services for the video for $4.99 a month.